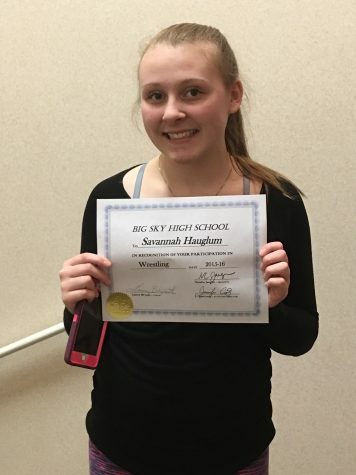 Savannah is a Junior at Big Sky High School. She wrestled and was involved in gymnastics for years previous. Her favorite class in Aerie Big Sky, which is one of the school's literary magazines. She enjoys the outdoors and is always doing something to keep her busy. Savannah lived in Lolo, MT for two years before she moved to Missoula,MT in 2003. She is the News Editor of the Big Sky Sun Journal.